We continue our conversation with this year’s English-language Governor General’s award winners with our chat with Lazer Lederhendler. 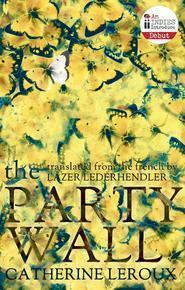 Lazer won his second Governor General’s Award for his translation of Catherine Leroux’s novel The Party Wall. Lazer Lederhendler is a full-time translator based in Montreal and specializing in contemporary Québécois fiction and nonfiction. 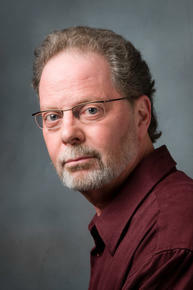 His translations have earned him many distinctions including the Governor General’s Literary Award and the Cole Prize for Translation of the Quebec Writers’ Federation. His work has helped acquaint English-language readers with a new cohort of talented, innovative writers, such as Nicholas Dickner, Alain Farah, Perrine Leblanc, and Catherine Leroux. You’ve had multiple Governor General’s award nominations for translation, and this is your second win. How does winning this one feel? It feels gratifying, reassuring, timely. Demanding, too, because of the mainstream and social media attention. Also, there’s a feeling of a kind of symmetry: My 2008 GG was for Nicolas Dickner’s Nikolski, whose publisher Antoine Tanguy (Alto) is also Catherine Leroux’s publisher; I suspect some interesting parallels could be drawn between these two very different writers. Can you share one or two of the particular challenges you encountered translating Catherine Leroux’s superb novel The Party Wall? It is indeed a superb novel. Among the things that make it so are the complex connections—through time, genealogy, coincidence—linking the four pairs of characters whose stories are braided together like narrative Mobius strips. It was crucial for me to understand those mysterious connections, the unusual structure, so as not to go astray. It was crucial for me to understand those mysterious connections, the unusual structure, so as not to go astray. Another issue was stylistic. The Party Wall is epic, even mythic in scope; there are moments of high drama and violence, in the tradition of Greek tragedy, so there was the risk of overdoing certain passages and slipping into a melodramatic register. What do you feel is the key to an exceptional translation? Are there particular mentors or giants in the field you’ve learned from over the years? It’s more like a set of keys, rather than just one. Aside from the basic need to do justice to the original, what I look for in a translation is good style, which involves liveliness, musicality, energy, inventiveness, a rich lexical palette, syntax that is both supple and muscular, originality. I look for the signs of creative freedom exercised within the restraints of the original work. What I look for in a translation is good style, which involves liveliness, musicality, energy, inventiveness, a rich lexical palette, syntax that is both supple and muscular, originality. I have had many teachers, in the broad sense of the word. A few that come to mind are John Berger, Michael Hofmann, Peter Bush, Katherine Silver, Jean-Antonin Billard. I asked this to Catherine in our interview, but I’m interested in your thoughts as well. Why is it important for English Canadians to read the translated work of French Canadian writers, and how can this be encouraged? I don’t think the question should be restricted to the Canadian situation. There is only a limited number of ways for a human being to understand what it means to be someone else living in a different place—which may be another country or region or even the house next door—or in a different time, and experiencing the world through a different language. Literature is one of those ways. And to gain access to literary works other than those written in your native tongue you can do one of three things: learn various languages, read translations, or both. If you don’t do any of the foregoing you are probably not interested in understanding people different from yourself. Anyone who keeps up with the news can see the disastrous results of such an outlook on life. There is only a limited number of ways for a human being to understand what it means to be someone else living in a different place—which may be another country or region or even the house next door—or in a different time, and experiencing the world through a different language. Literature is one of those ways. How to encourage people to read literature in translation? Inoculate people from an early age against the received prejudices regarding translation (“poetry is what gets lost in translation,” traduttore traditore, etc.) by, among other things, pointing out that if not for translation, fundamental works—e.g., Homer, Virgil, the Bible, the Mahabharata—would be truly lost for most of us. Educators, critics, and reviewers have a crucial role to play in this regard. I must admit that most of my readings these days have been translations of German-language writers (most of them long dead). When it comes to Canadian writers, I’ve been reading or re-reading Mordecai Richler, who, in addition to being a free spirit and a great satirist and storyteller, was a consummate stylist. On the contemporary scene, I like the work of Rawi Hage and the poets Erin Mouré and Kaie Kellough, to name just a few. Read our interviews with other GG's winners Steven Heighton, Madeleine Thien, Colleen Murphy, and Bill Waiser!